Troms is the middle county of the three counties in Northern Norway and has a population of 152,628. The capital and largest city is Tromsø, with a population of 61,897. 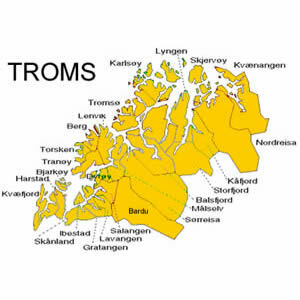 Click on a location below to find Troms hotels, Inns, hostels and other lodging.